Leather Garments has been creating a stir in global markets since quite a while; from ancient times, when they were used as shields during war and today, when leather is mostly used as a fashion statement. The history of leather apparels also includes jeans made with intricate details all over, to the copies of jackets which were worn by Elvis Presley. If you want it, the market will provide it. 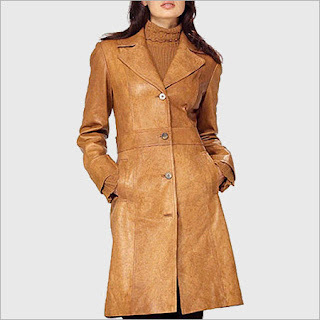 Durable-Leather Garments are very durable, majority of which work up to 5-10 years. Timelessness- Such garments can be worn anytime. They would never be called out of fashion. Style- Gives you a unique touch to yourself. Makes you look smart, elegant and graceful. Strength- Used as shields during ancient war periods, leather has always proven to be very strong. Flexibility-Leather products become more strong and flexible while keeping it's shape. Ever wondered why designer leather garments are so expensive as compared to ordinary brand-less leather items? Or how to differentiate between genuine and fake leather? The very first thing you can do to check fabric quality of any garment is to touch it. Good fibers are often soft and give good sensation to the touch. Even rough textures from fabric like linen, corduroy, after few good processing cycles come out soft and easy to drape. By sensing the fiber with your finger, you will also be able to tell whether its natural fabric like synthetic leather skin, cotton, silk, authentic or synthetic from polyester types like nylon and Lycra trying to mimic real stuff..
Often when someone is buying an expensive leather jacket, he/she would expect to see fancy linings inside. But ask yourself, how would you know what fancy lining feels like? Well, fancy linings will always have certain prints of a particular woven texture. It feels smooth and slippery while your you're slipping it in or out. Not expensive considering it's durability period. Hard to clean. Tedious process. Few Variety-Mostly black or brown. These garments can be worn in every kind of weather. One would think that you can wear leather garments only during winters. But that is not the case. Today's market has a wide range of garments to choose from, starting from a summer range to a spring range to whichever kind of item you prefer. That is the beauty of these garments. They never go out of fashion.